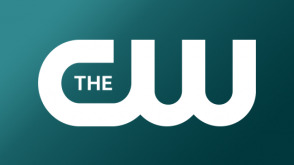 The CW Television Network is an American broadcast television network that is operated by The CW Network, LLC, a limited liability joint venture between CBS Corporation, the former owners of the United Paramount Network (UPN), and the Warner Bros. Entertainment division of Time Warner, former majority owner of The WB Television Network. The "CW" name is an initialism derived from the first letters of the names of its two parent corporations (CBS and Warner Bros.). New York Mets at St. Louis Cardinals. From Busch Stadium.